I am a compulsive to-do list maker so it’s no surprise that as one year comes to a close and another makes its presence known I am sucked in with list making, spreadsheet formatting, and resolution drafting. 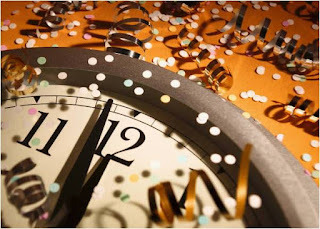 I treat this time of year not as a time to plot unrealistic fantasies, but a time to reflect on what I have (or have not) accomplished in the closing year and to plan for what I wish to accomplish in the coming year. Project managers use the SMART plan (specific, measurable, attainable, realistic, and timed) to set goals that can become a reality. I tend to follow this as I have proven to myself that it works. Or, at least, it works enough to keep up the game every year, and every other time I feel the need to reconsider my goals—which happens at least twice per year. We writers do not always have instant gratification on our side. We often don’t even know if a completed project will find success beyond the (major) accomplishment of completing said project. We can wait. We can wonder. But once a project is out of our hands, it is out of control. So I focus on what I and I alone can control and set my goals as such. That way, I am accountable for what I do (or don’t do) and can celebrate on my terms. For example, I truly wanted to increase the number of my submissions to journals this year. The year earlier had been particularly busy, so 2012 was my year to improve that and I aimed to end the year on a better note. I did. The goal I set was to send out 100 submissions to journals. This seemed like a massive number compared to 2011’s sad dozen. Yet I wasn’t willing to make simultaneous subs, either, just for the sake of letting the numbers add up more quickly. I wanted to be selective, too. There’s a funny thing, though, about wanting to do something and making it happen. In between those moments, the work must be done. When March rolled around and I had one lonely submission out there (thanks to a hectic start of the year), I knew it was time to step it up. So I did. And between March 8 and Dec 16, I made my goal. Had I submitted more in the latter part of December, I would have trumped those numbers, but… that’s a goal for next year, now, isn’t it? Do the rejections bum me out? Not in the slightest. Those rejections are proof that I fulfilled my end of the bargain. 67 rejections means I sent my work out there. Rejections are inevitable and are what fill in the gap between those other wonderful numbers: 11 new acceptances for the year and 22 potential pieces of good news yet to come in the New Year. I’ll take it. Notice, too, I have only referred to submissions made to journals. As it stands right now, I also have 3 book-length manuscripts sitting on the desks of editors…. for which I have not yet heard back about, but can hope good news will come in 2013.
b) do the realistic thing and that is to submit more, again, and keep doing what I’m doing, what we all do. We write. We submit. We set and accomplish our goals and hope for the best with what’s no longer in our control. May you all have many, many rejections in 2013. Because that will mean you are doing your job. That will mean you have done the work, taken a chance, and probably have at least one reason to celebrate your successes. p.s. If you haven’t already, please do check out my revamped website (which was also a goal for 2o12). Next up? Improving and renovating this blog! I’m shamefully behind in updating my website but want to share a few recent publications. 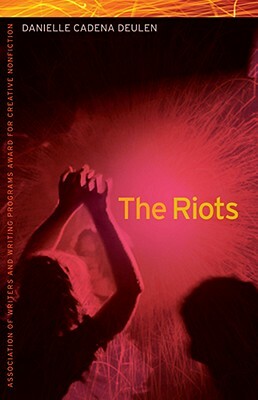 Review of Danielle Cadena Deulen's award-winning memoir, The Riots. Read here. My 'writing life' essay, “Out of a Suitcase and Into the Vortex.” Read here. 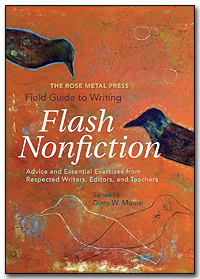 Review of The Rose Metal Press Field Guide to Writing Flash Nonfiction, edited by Dinty W. Moore. Read here. I talk about Issue 29 of Salt Hill journal. Read here. I have a poem, “Drinks Among Friends,” in the beverage anthology. Read here. Stay tuned for new essays and reviews forthcoming in The Colorado Review, Brevity, The Toronto Review of Books, and Los Angeles Review. Thanks for reading and sharing links! I’m pleased to have a new book review over at New Orleans Review. "What this craft guide does well is in refraining from pigeon-holing the genre by suggesting strict guidelines or definitions. Yet in freedom there remains the challenge for writers to experiment and tinker—not always for the better. After all, what is “good” flash nonfiction? In his introduction, Moore addresses the one quality that appeals to both editors and readers: “the writer’s experience of the world made small and large at the same time.” Yet how many words does that take? Two hundred? Five hundred? A thousand?"